Our teachers are passionate about music, the arts and the development of self expression. Here, you can create in a fun, informal, social setting that spurs engagement and encourages expansion of one's abilities. Our philosophey is that as artists, we have a responsibility to help everyone around us see and hear the beauty in everyday life. We welcome you to take an artistic journey with us! Carol Anne graduated from Stockton College of NJ with a BA in Business Administration and a BS in Teacher Education. Carol Anne is a licensed Music Together® director and a registered Music Together teacher since June 2017. She was inspired to open Maverick Art Studio in March, 2014 by the constant struggle to find art lessons and music lesson for her own children. "I wanted to create a space for the community and local artists to come together". She studied stained glass in college, has over ten years of pottery experience and continues to passionately develop her artistic techniques through workshops and classes. Ashley is an emerging artist who has worked in a variety of media but is highly concentrated in ceramics. She is interested in manipulating and transforming materials by melting, molding, and assembling. She has been working with different aspects and systems associated with the body and plans on investigating this further in her current and future works. Ashley recently received her MFA from University of Delaware and also has a BA in Art Education from Rowan University. Ashley has also attended Cumberland County College where she received her Associates in Fine Arts and she attended Cumberland County College's Clay College where she received an academic certificate in ceramics. She was a ceramic resident artist at C.R.E.T.A. in Rome, Italy. She has been in several exhibits: including the 2014 Emerging Artists Show at Clay College, "A Place of Insight" MFA Thesis Exhibition at Pocket Utopia, NYC, and "You Deserve To Be Happy" University of Delaware MFA Thesis Exhibition at Little Berlin, Philadelphia, PA. I began a self conducted education in stained glass during the 1970's when it seems that I rather suddenly became aware of the mediums' power and beauty. I had been involved with drawing and painting for most of my life. 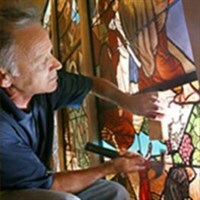 Since moving to the Cape May area in 1982, I've completed many commissions in stained glass artwork, including residences. public buildings and houses of worship. My class is intended to teach beginners while working individually with those who have moved beyond the introductory level and wish to explore more advanced techniques. 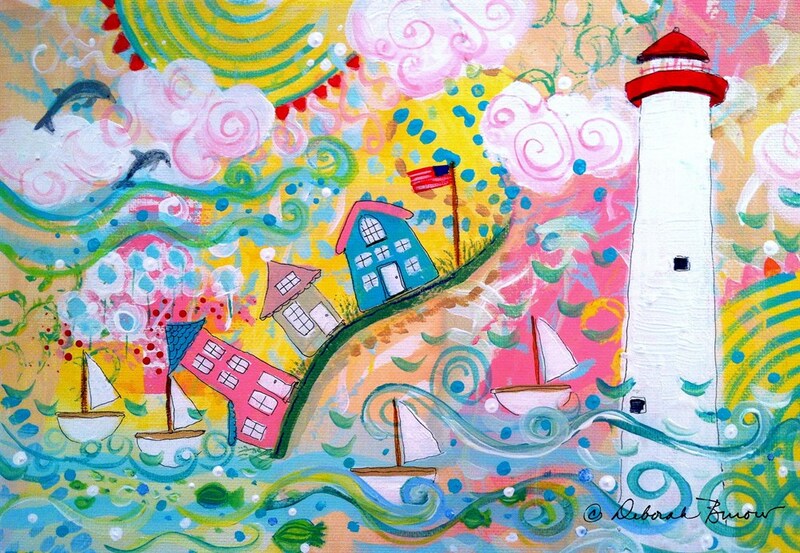 Anna Marie's impressionistic paintings are expressed with bright, clean color. After years of rendering colorful landscapes, florals and other traditional scenes of the Jersey Shore, she has recently taken her work in a completely different direction. She has perfected a technique of applying intensely rich watercolor pigments on archival synthetic paper. The result - representational forms juxtaposed with surrealistic images, bordering on abstraction. Her paintings hang in corporate and private collections on the East and West Coasts and in Great Britain. Ms. Zabielski is the recipient of many fine art awards. She served on the Board of the Cape May County Art League for several years and is a member of the Ocean City Fine Arts League and the St. Barnabas Art Group. Ms. Zabielski was curator/exhibitor for the Drexel University Centennial Staff Art Show and the featured artist for the Women's Month Celebration. 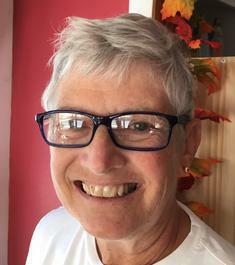 She has conducted watercolor workshops and demonstrations at Drexel University and continues teaching in Cape May County. 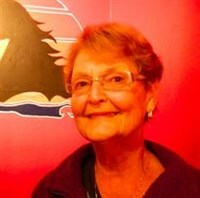 Also, Anna Marie has served as artistic judge at various art exhibitions. Valerie was born in Philadelphia, Pennsylvania, first began studying the violin at the age of 4 under her mother, Diana Vuolo (former student of Dorothy DeLay of the Julliard School of Music). Continuing her musical studies through high school she went on to study under Emlyn Ngai (Concertmaster, Philadelphia based Baroque ensemble, Tempesta di Mare) at the Hartt School of Music in Hartford, CT, completeing a Bachelor of Music degree in violin performance and graduating with honors in 2007. She has also been coached by Linda Fiore and Teri Einfeldt (Suzuki), Anthea Kreston (Amelia Piano Trio), Anton Miller (soloist), Leonid Sigal (Concertmaster, Hartford Symphony Orchestra), Kathy Meng Robinson and Keith Robinson (Miami String Quartet), and Pamela Frank (soloist) among others. Signed to both the Clear Ear and LoLo Record Labels, Geno White plays instrumental guitar driven rock blues fusion. He has been playing guitar for 47 years with eleven releases and winning two ASCAP Awards for his "From Inside the Lighthouse" CD. Hello Everyone! My name is Katherine Swan and I'm excited to be helping with the new program here at Maverick Art Studio. I've had the opportunity to teach at Maverick Studio and Anchor Arts Studio. I'll be graduating this December with a BA in Psychology and plan to continue my studies in Art Therapy. I've been able to express myself through art over the years and hope to encourage those around me to do the same! "What do you want to do when you grow up?" Art, art and more art. Make art, show art, teach art, be messy, smear paint, add dots, and swirls and then be messy again. Art has been my focus as long as i can remember. I like it; there are no mistakes in art, only opportunity. Before I had any art teachers, i opened magazines and drew what I saw. I taught myself to SEE. I didn't know that I saw things that others never bothered with. I love to teach others to SEE. It's like opening a gift on Christmas morning, surprise! The walls of my bedroom were filled with art. I paintined my shoes electric blue...everyone else had brown and black. I picked out the giant flowered pink, purple and orange prints for my clothes. My first apartment was shocking blue and lemon yellow. Color was my life. Nothing much has changed. Color still dominates and resonates throughout my art. Doesn't matter if it is pastels, acrylics, watercolors, or mixed media. Color reigns. My whimsical images feel like they could dance right off the canvas. My art makes my heart smile. Teaching multiplies the joy. Grin! Sharon is a visual media artist who works in various mediums. She has shown in numerous shows throughout Pennsylvania. 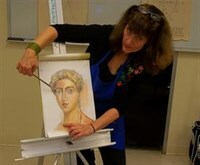 She has a master's degree in Art Therapy from Marywood University and a Bachelor's degree in fine arts. Prior to retirement she worked in the field of art therapy teaching people with physical impairments and emotional trauma. Sharon started a Cancer Survivor's Art Therapy group in conjunction with Chester County Hospital and The University of Penn Hospital. The group was new and different and ran for 8 years under her facilitating up until she moved to this area. Now she is doing what she loves which is painting, working with clay and teaching. "Art is an extension of everyone and needs to be nurished all through a person's life". "I must imitate antiquity not simply to reproduce it, but in order to produce something new", that quote by Colucci Satutati a Renaissance man from the 14th century Italy, truly expresses how i feel about my art. In the early 80's I spent a year in Greece that experience opened me up creatively and consequently I became serious about my art. I studied at the Academy of Fine Arts in Philadelphia and I have exhibited at notable galleries and museums in the U.S. and in Europe. I was the guest artist at the Melina Merkouri Arts Center in Hydra, Greece in 2003. I exhibited in Payerbach, Austria with Ernst Fuchs in 2000. i am a member of the Cape May County Art League. See my art at facebook.com/artmyth. 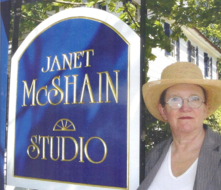 McShain, a graduate of the Pennsylvania Academy of the Fine Arts, specializes in "plein air" watercolor painting, meaning the painting is done outdoors. Deirdre is born and raised in South Jersey. She has a deep love for art and nature. She has conducted summer art programs, held classes in her home studio, served as an art director and teacher, as well as prepared creative art curriculum for children. She has an Associate Degree in Fine Art. Deirdre is especially fond of hand building ceramics and well as painting and drawing. Deirdre’s teaching style is very interactive, and explorative. She tends to weave in much art history with instruction, while exposing the learner to many different artists and mediums. Lee Neuman is a visual artist who works in several painting mediums. Her work has been shown in Philadelphia, Ohio, Connecticut and South Jersey and hangs in private collections in and around the Philadelphia area and as far as Africa. After moving to South Jersey in 2001 and settling in Egg Harbor Township, Lee was introduced to the artists in Millville and took classes at the Barn Studio, under the direction of Pat Witt. She has taken advantage of the many classes, workshops and opportunities for artistic growth in the area and continues to enjoy the company of the many artists who live and work in South Jersey. Working primarily in oil, she enjoys the connection to the environment in and around her hometown of Cape May Court House, painting plein air, the landscape she has grown to love. Lee holds a degree in Early Childhood Education from Wesley College and has taken numerous Fine Art classes and workshops in Philadelphia and South Jersey. Lee completed her Bachelor of Arts coursework in Fine Arts in 2010 from Thomas Edison University.